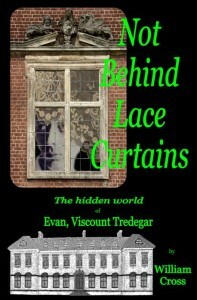 A sensational new book ‘Not Behind Lace Curtains’ from author William Cross, FSA Scot, ( the controversial biographer of Almina, Countess of Carnarvon, and the instigator of lurid tales about other society women ) spills the beans on the toffs once again. This time Cross extols on a British Peer of the Realm’s hidden world of illegal homosexual vice; he even sweeps one British Prime Minister with those involved. The Peer’s favorite sport was chasing ”rough trade” [ rent boys], as well as celebrating Black Mass in Welsh churchyards, and near the Sussex Downs with disciples of The Great Beast 666, the occultist Aleister Crowley. In the end his luck ran out when his ‘right trusty cousin’ Queen Mary discovered compromising photographs of her family in the man’s company. William Cross ( Will ) spent 28 years as a Civil Servant in London. He took early retirement in July 2005 to concentrate on writing and research. His roots are Scottish, although he now lives in Wales. 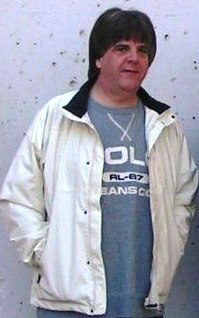 He is the author of many articles and booklets on Scottish history and genealogy topics. He is a regular Lecturer at the Society of Genealogists, London, on Scottish subjects. 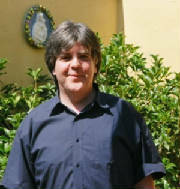 He was Editor of Renfrewshire Family History Society’s Journal from 1999-2011. A Fellow of the Society of Antiquaries of Scotland since 1984, he is also a founder member of Newport’s Screwpacket Playwrights and an authority on the Morgan women of Tredegar House, the one time seat of the Lords Tredegar. Will is also a member of the Society of Authors. Along with a writing partner Monty Dart, he completed in 2010, a biography (now published) of Hon. Gwyneth Ericka Morgan entitled A Beautiful Nuisance. Since then they have taken up their own individual writing projects and worked jointly on others, their latest joint work is on Ronald Firbank, whose grave in Rome’s Campo Verano Cemetery Monty and Will have been restoring over the last few years. Will Cross is married to Perry and they have two grown-up sons and two grandchildren. In 2011, Will published a follow up book on Almina, Countess of Carnarvon, Lady Carnarvon’s Nursing Homes : Nursing the Privileged in Wartime and Peace. Two new books are planned for 2012. The Dustbin Case ( due out in the Spring ) will reproduce the 17 days of proceedings in the High Court in London involving the scandal ridden case of Dennistoun v Dennistoun, in which Almina became embroiled in 1925. Lordy! Tutankhamun’s Patron As A Young Man is a retrospection on George Edward Stanhope Molyneux Herbert the 5th Earl of Carnarvon, This will be produced to mark the 90th anniversary of the discovery of the Tomb of Tutankhamun, which falls in November 2012. A Beautiful Nuisance - The Life and Death of Hon. Gwyneth Ericka Morgan. Despite the passage of more than 80 years, the fascinating legacy of Lord Carnarvon and Howard Carter’s 14 year obsession in the Valley of the Kings which led to the immense discovery of the Tomb of Tutankhaman continues to attract close attention. But the many dozens of books on the quest itself, those on the treasures exploited, and the curse surrounding the curious death of Lord Carnarvon and others have nearly exhausted the subject more than any other adventure tale. 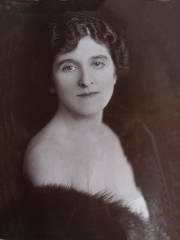 Carnarvon’s remarkable widow and patron Almina, Countess of Carnarvon, has never been subject to an extensive appraisal except for the odd minor write-up and the coverage of her sometimes enforced part in the 5th Earl’s long escapades in Egypt. Writer and researcher, William Cross, FSA Scot, has now completed the biography of Almina Carnarvon. Who was this woman? What were her triumphs and disasters? Who were her loves and what were her loaths? What became of her after all the limelight from her past had faded? The Life and Secrets of Almina Carnarvon reveals the story of woman beneath the legend of the discoverer of King Tut's tomb, who lived to the great age of 92. Lady Carnarvon was born Almina Victoria Marie Alexandra Wombwell ) ( although it was later claimed that she the illegitimate daughter of Baron Alfred de Rothschild, a member of the great Jewish banking family. Almina’s mother was Marie Boyer, a woman of French descent, who married Frederick Wombwell a brother of Sir George Wombwell of Newburgh Park, Yorkshire. There was one son, a half-brother to Lady Carnarvon, Frederick Charles Wombwell, who died in 1912, aged only 42. When Marie and Wombwell were estranged Alfred de Rothschild became her lover and father to Marie’s second child, who was named Almina after the pet name of "Mina" Alfred gave to Marie. Almina’s life was especially fulfilled in War time ( the First and Second World Wars ) by the creation of hospitals for wounded soldiers and airmen and later by her generous patronage and huge personal input and sacrifice into the nursing homes that bore her name. A separate project is being undertaken on the marital scandal that rocked the establishment, 80 odd years ago in Dennistoun v Dennistoun from 1925. 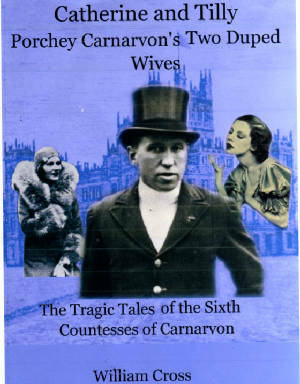 That case features Almina, Countess of Carnarvon as the wife of the defendant in the malarchy, Lt Colonel Ian Onslow Dennistoun, whom Almina had married in December 1923, barely 8 months after the 5th Earl’s death. Colonel Dennistoun was sued by her first wife Dorothy Muriel Dennistoun ( formerly Dorothy Webster ) for a relatively small amount of money. However, the case became an extraordinary mud slinging affair lasting 17 days in the High Court, in London and resulted in many good names in British Society being tarnished. The King himself, George V, was disturbed and disgusted by the day by day disclosures.